Our catalog features over 18,000 packaging supply items, including over 1,100 sizes of corrugated boxes, ready for immediate shipment! Products include Stretch Film, Packaging Tape, Corrugated Boxes, Void Fill, Strapping and Pallets, and we offer the full spectrum of packaging materials and equipment. Ask us about our National Account Programs, National Pallet Programs, or our Streamlined Start Up Programs! Leverage your national spend while having the support and service of local businesses, and have a single source solution for all of your operational start-up needs! We offer free packaging consultations, where we have one of our Packaging Specialists tour your facility and recommend ways to save on your packaging or operational process. We truly care about saving our customers money, and that is demonstrated through our consultative sales approach. 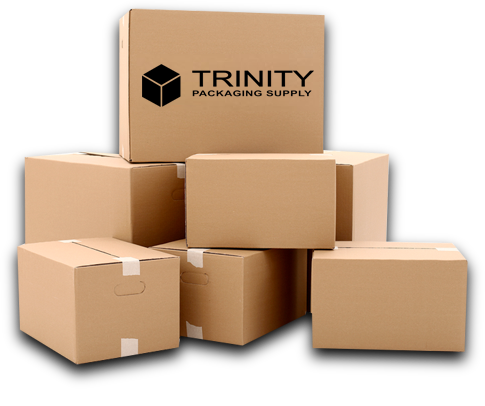 Trinity Packaging Supply is a wholesale supplier of packaging and shipping supplies. We specialize in Stretch Film, Packaging Tape, Corrugated Boxes, Void Fill, Shrink Film and Pallets, and offer the full spectrum of packaging material and equipment. We offer over 18,000 items in stock and deliver next day in most areas of country. 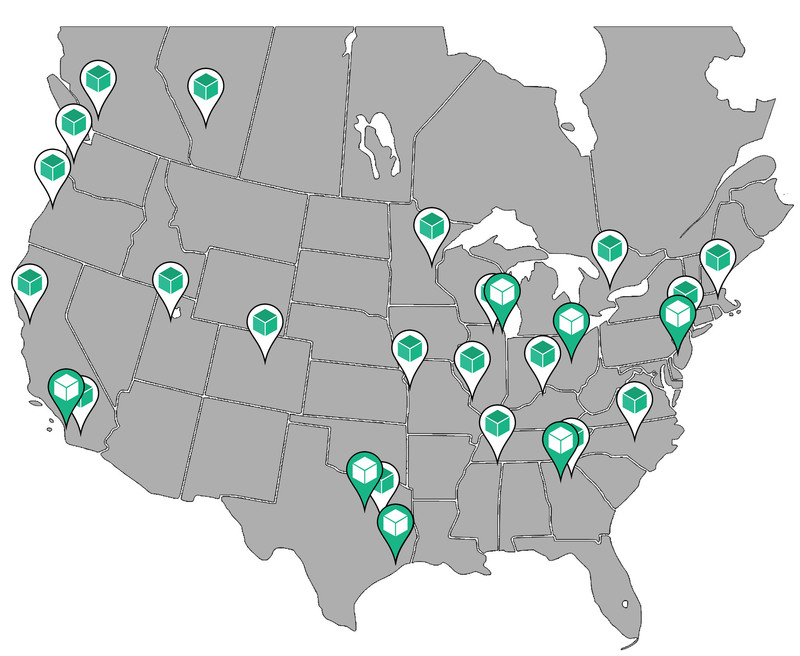 Trinity specializes in National Account Programs, where a company with multiple locations can leverage its national packaging spend, while having the support and services of local businesses, with one streamlined point of contact nationwide. 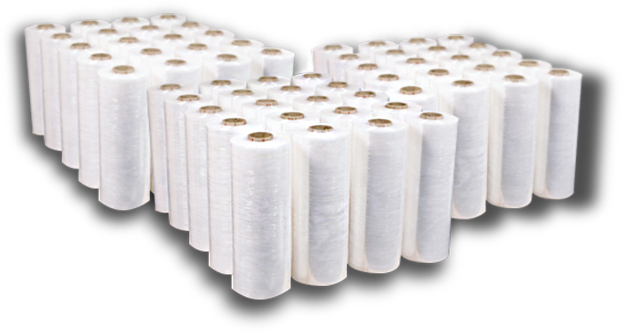 We offer the complete line of Hand Held and Machine Grade Stretch Film, from Standard Performance Films, to Ultra High Performance Films. We also offer colored and custom printed logo film. Our Pre-Stretched High Performance Films use less film per wrapped pallet, while providing the same containment force as Standard Performance Films. Most sizes and gauges are in stock and deliver next day! 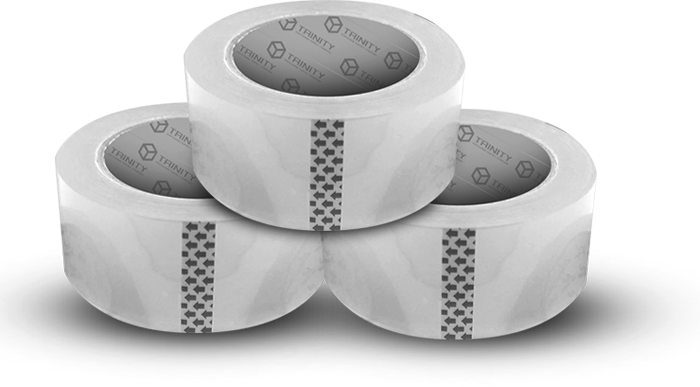 Trinity's Hand Held and Machine Grade Packaging Tape has excellent clarity, a consistent smooth release, and a strong adhesive that grips well to corrugated boxes. We stock 48mm x 100m, 72mm x 100M, 48mm x 914M and 72mm x 914M in several thicknesses ready for immediate shipment! We feature a wide array of box sizes and styles to suit your packaging requirements. We literally have millions in stock! Our huge selection includes application-specific boxes for moving, hazardous materials, insulation, printing, master packing, retention/suspension and file storage. With over 1,100 box sizes and 15,000 packaging and industrial products, we have it all! 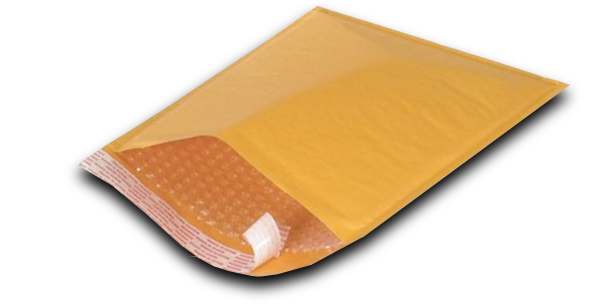 Trinity offers the full spectrum of mailers, from Kraft Bubble Mailers to Custom Printed Poly Mailers. Standard Industry Mailer Sizes: #000, #00, #0, #1, #2, #3, #4, #5, #6, #7 are all in stock ready for immediate shipment! Trinity specializes in offering a complete range of Recycled, GMA and Custom Wooden Pallets to meet our customer's requirements. 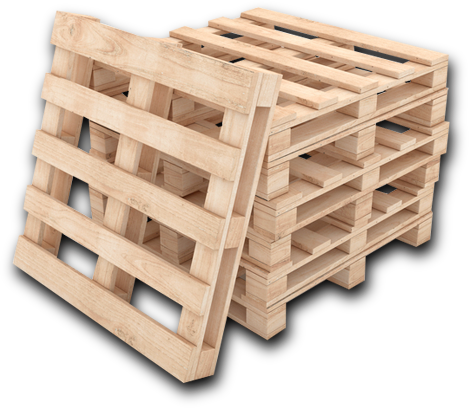 We have quick turn around on pallets and can inventory custom pallets for just in time delivery. We also buy back broken pallets! Ask us about our Pallet Buyback Program! 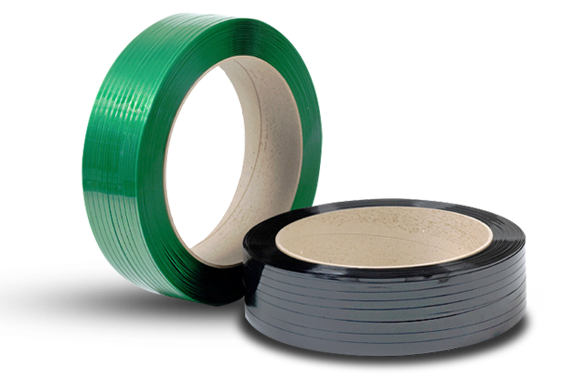 We carry a full line of plastic strapping, steel strapping, strapping tools, closures, machines and accessories. Contact us today for a quote!